Good fats are one of the most important nutritional factors in antiaging. Longevity and health require that you get this right! Essential fatty acid deficiencies can lead to many health problems, but the right types of fat like omega3 fatty acids can help secure good health and a long life. There are several really important things to keep in mind about the concept of good fats. There are good fats and bad ones as well. Lets separate them out so you know which is which, and when and how they should be stored and used. 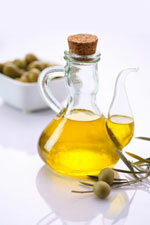 Remember that just like other foods, fat in the form of oil is best when it is as unrefined as possible. Saturated fat: is derived from palm and coconut oil, and animal sources. It is solid at room temperature, safe to cook with, and does not oxidize (turn rancid) very readily. You should limit the amount of saturated fats you consume for health reasons. Monounsaturated fat: comes from sources such as nuts, olives and avocadoes. It is liquid at room temperature. You can cook with it, although it does not resist heat as well as saturated fat. It resists oxidation well. You can eat more of this type of fat than saturated fat, as it is considered healthier. Polyunsaturated fat: comes from vegetable sources, and fish oils. It is liquid at room temperature and under refrigeration. It oxidizes easily and does not tolerate heat, so you cannot cook with it. Essential fatty acid deficiencies are most likely to involve this type of fat, and the very best form to consume are omega3 fatty acids in fish oil. Trans fat: This is a polyunsaturated fat to which hydrogen atoms have been added to make it more like a saturated fat so that it will be solid at room temperature and resist oxidation, thus increasing it’s shelf life. This process is called hydrogenation. Trans fat is very dangerous to your health due to its chemical structure, and should never used by anyone who values their health. Some experts have suggested the health risks of using trans fat are similar to the level of cardiovascular risk from smoking. Low Fat – Is It Healthy? The low fat food fad that thankfully appears to be over mislead many people, because it was based on misunderstood nutritional science and slick marketing. The amount of good fats you need is based on your unique nutritional needs and biochemistry. There was no distinction between good fats and bad in these products. People were convinced that fat in general was harmful to them, but fat, such as in the case of omega3 fatty acids can actually prevent disease! Many of these products labeled “low fat” actually contained trans fats and high amounts of refined sugar. When you take in more sugar than your body can burn, it gets stored as fat, which defeats the purpose of eating low fat foods. Also, your body will store what it does not get enough of. So if you severely restrict your fat intake, then your body will hang on to the fat it has rather than burn it for energy. This is one of the reasons that low fat diets did not pan out as a weight loss solution. Your metabolic type will determine what portion of the calories in your diet should come from fats. Your blood type will determine which sources of fat are compatible with your individual biochemistry. For example, walnut oil is beneficial for some people, but others may be allergic to walnuts and not be able to eat them. Individual reactions to fat containing foods vary, but all humans need good fats their diet to prevent essential fatty acid deficiencies. If you are looking for a really good guide to fat for nutrition, then pick up a copy of “Fats That Heal, Fats That Kill,” by Udo Erasmus. Many consider this book the best one out there on the subject of fat for nutrition. This page isn’t meant to be an in depth article on dietary fat. I merely want to make you aware of how important this is to your health, give you some simple guidelines, and point you toward more comprehensive information. I want to emphasize that the right fat for example omega3 fatty acids is critical to good health. Essential fatty acid deficiencies can do serious damage to your body and brain, so make sure you include good fats in your daily diet to ensure a long and healthy life.